The world might not have ended in 2012, but last year certainly was an exciting time for the video interview. Employers discovered how helpful it could be to connect with top candidates via video and shorten their hiring process. With the tough economy and the war for talent, it was more important than ever before to make good hiring decisions in 2012. After all, a bad hire could set companies back as much as $50,000. No company wants to lose out on large sums of money or great talent with the ability to move their organization forward. This is where video interviewing comes in, allowing companies to get a more personal feel for candidates earlier than in the traditional hiring process. Saved time: One of the most essential ways the video interview helped employers last year was when it came to saving time. Time is obviously a valuable commodity for all companies, especially in the hiring process. When looking to hire the right people, most companies are looking to scoop up the top talent fast in order to fill positions and nab great workers before the competition. Video interviewing is a great way to save time in the process because scheduling a video interview is much easier than making time for an in-person sit down. Because one-way virtual interviews occur asynchronously, for instance, it becomes a snap to schedule them with even the busiest passive candidate. Employers merely pose their written questions and candidates answer on film in their one-way virtual interviews. These answers can then be viewed at any time. It should come as no surprise that a survey from the Aberdeen Group found employers could watch as many as ten one-way virtual interviews in the time it took to perform one phone interview. Thanks to the video interview, employers found a better solution to the time-consuming and ineffective phone interview while cutting down their time-to-hire in 2012. Allowed talent pools to grow: In 2012, Spark Hire opened its doors to the world. By allowing the video interview to go international, Spark Hire helped employers and job seekers from all over the world connect. For employers, this became a great way to start hiring outside the company’s geographical area. No longer stuck with only the candidates in their own backyard, companies could expand their talent pools exponentially. This is important when you consider the raging war for talent and the ever-widening skills gap. It’s important employers leave no stone left unturned when it comes to finding the right person for open positions. The best person for the job might be around the corner or on the other side of the world, and video interviewing makes these candidates equally easy to get in touch with. Saved money: Found a great international candidate? Thanks to video interviewing, you no longer have to worry about footing a massive airline fee in order to see if they’re the right person for the job. Just schedule a live virtual interview with your top-tier talent and you’ll be connecting face-to-face in real time without anyone needing to buckle up for takeoff. Unsurprisingly, this allowed companies to save up to 67 percent of their hiring-related travel expenses in 2012. Got mobile: In 2012 Spark Hire launched the first ever video interviewing mobile app. Now candidates can record their video resume or their answers to one-way virtual interviews on the go. Think one-way virtual interviews made scheduling an interview easy before? Now candidates can step into a quiet room, record their interview answers, and then go back to the rest of their day. With the increasing importance of mobile devices in our everyday life (even grandma is liking your Facebook statuses from her smartphone) it only makes sense to help the job search go mobile while maintaining the personal connection the video interview allows. To the future! Video interviewing in 2013: With all the strides video interviewing has made in 2012, it’s not shocking to find out a recent survey showed six out of 10 employers are embracing video interviews in their hiring process. Looking forward to the rest of 2013, 13 percent of employers plan to utilize video interviews more frequently in their process. A further 85 percent plan to continue using video as an important component for hiring the best people. Companies are using video interviewing to connect with candidates on the go, save time and money, and grow their pool of talent to include the best and brightest from all over the world. We don’t know what the future will hold for the video interview in 2013, but based on the experience of 2012 the new year looks bright! 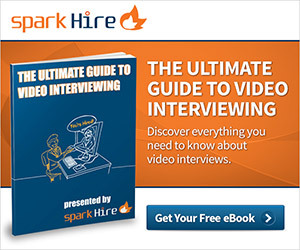 How will your company use the video interview to hire the best in 2013? Share in the comments!